The synchronization and integration of services is one of the strengths of Android device if compared to his rivals. Any android application can used or combined with almost any other application or native service. Applications like Carbon Backup or Titanium Backup make use of backup copies of our device. But, what happens if what we want to synchronize are the contacts? in this case, in addition to the native option to Google (syncronize with Gmail), Don't worry, now you just can give thanks to a member of XDA developers, because they have invented Easy Contact Sync app. The native Android sync is a wonder; just enter our account on our device and voila! We have all our contacts synchronized and accessible from Gmail. Thus whenever we introduce ourselves in a new device, have our contacts there of form automagica. The problem is when we don't have our available Google account available(because we do not have internet connection at that moment or because we have lost the password); then the thing can be very ugly if we have no care earlier. Easy Contact Sync is very useful for exporting our contacts in sd Card format (compatible with Outlook) and save them on our microSD or upload them to the preferred storage service, as we choose. If you ever need to restore your contacts simply tell Easy Sync Contact and the app will do the job so we can enjoy our contacts in new list. 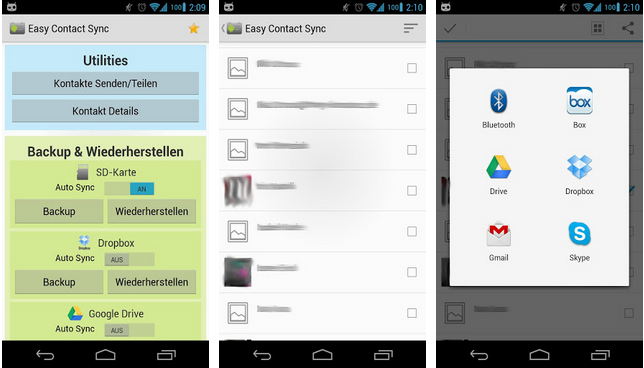 Thats for my tips how to syncronize your android contact to your gmail contact with easy contact sync. 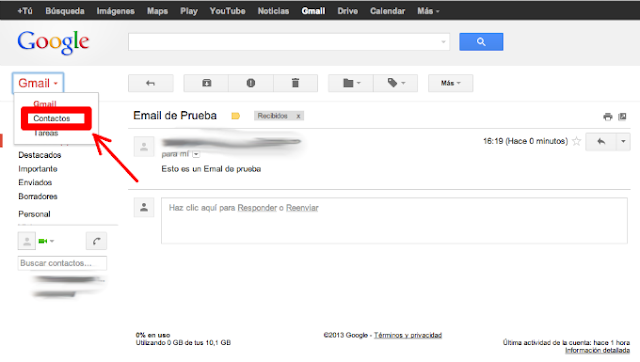 Or you can read my previous article that also discussed about gmail account sync. Nowadays there are many application that designed to flash files to your android devices. But i only recommend Odin and Heimdall as the most stable and trusted application. because it is well developed and always release new update to fix bugs and increase the stability. Odin is the most popular apps for flashing ROM on Windows. Odin is easy to use although for you that still new in flashing ROM. If you want to use it you can download ODIN 3.04 on that post. 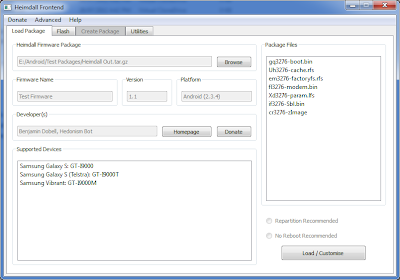 While Heimdall is very suitable and recommended for linux or Mac users to flashing ROM. You can trust heimdall if you are using linux or Mac for flashing ROM, because it is works flawlessly. You have a few days to complete the job on some spreadsheets and don't know how to finish everything in time? 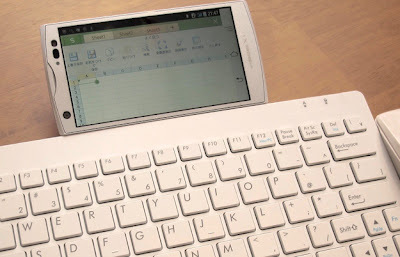 Then you should try do excel work using android smartphone or android tablet. No, I am not kidding. There are some applications that allow to process Excel documents on Android very efficiently and without excessive limitations compared to PC. They are very easy to use and there are also free. 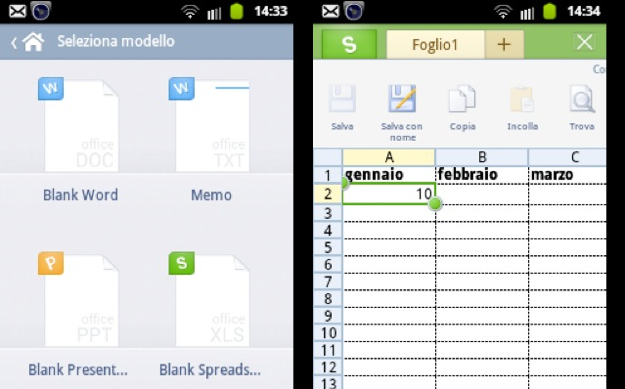 You like to discover How to use Excel on Android by exploiting their full potential ? If you want to know How to use Excel on Android, the first application that you should try is Kingsoft Office. It is a free Office suite that includes everything you need to view, edit and create Word documents, Excel and PowerPoint. Supports cloud storage services (Dropbox, Box and Google Drive) and its interface is completely in Italian. You can use it to work with XLS and XLSX files in Excel on your smartphone or your tablet with no regretting too PC. How do I use it? Almost Needless to explain it. If you want to open an existing Excel document, tap on the folder icon located in the upper left corner on the home screen of the app and select Folders to select a file from your phone (or MicroSD you need inside) or the voice Cloud storage to import a document to Dropbox, Box or Google Drive. If you want to create a new spreadsheet, press + button located at the top and select the new document then Blank Spreadsheet from the menu that appears. Find yourself in the presence of an interface very similar to that of Microsoft Excel, through which you can edit your spreadsheet as you see fit. To type numbers or text within a cell, simply double tap " within the latter. To invoke the available formulas within the app, press the Menu of your smartphone/tablet, scroll the toolbar to the right and select the AutoSumicon. Upon completion of the changes, you can save your Excel document by selecting Save/Save as. .. from the toolbar of Kingsoft Office. Easier than that? Another great app to use Excel on Android is Google Drive, the official application of cloud storage service Google weblog. Working mostly online and allows you to view, create, and modify all major file formats of Microsoft Office or OpenOffice/LibreOffice. Is free and has a user interface entirely in Italian. To use it, you don't have to do is select the spreadsheet you want to edit frommy files of the app, or you can create a new Excel document by pressing + button located in the upper right corner and selecting the worksheet from the menu that appears. To insert the information into spreadsheets, you just need to double tap on the cells. As for the formulas on this page you will find a list of all supported ones. You can also enable offline access for documents that interests you check/change in the absence of Internet connection. To do this, tap on the placed next to the name of the document you want to have available offline and put the check mark next to the option available offline. Maybe every android smartphone still don't know how to increase browsing or surfing speed on android smartphone. You significantly can increase your browsing speed by change dns configuration on android phone. So read all this explanation below so you can fully understand how to change the DNS. 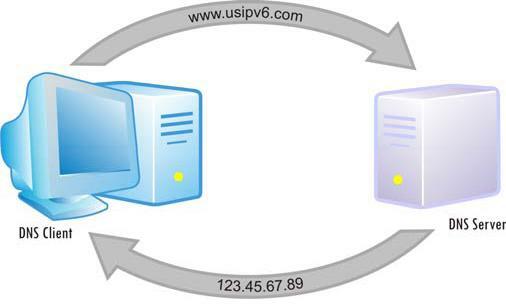 First I explain what is DNS: DNS, for the uninitiated, is a kind of coordinate translator internet sites, which are written in long numeric addresses (e.g. 207.142.131.234) text addresses easy to remember (e.g. wikipedia.org). Read also increase internet connection on android. Changing the DNS with faster and more efficient can help speed access to internet sites and then to improve navigation on both PC and smartphone and tablet. Now we will guide you on how to change it on Smartphones and Android tablet. First, you need to have an unlocked by Terminal root procedure in order to make this change (if you don't know how to unlock your device tries to take a look in our forums). Then you'll have to download the application Set DNS: this application allows you to change the DNS servers of the Internet connection (Wi-Fi and 3 g) by choosing from a pre-defined list and replace them with some faster and reliable, like OpenDNS and Google DNS. Then, once you download the app, start it and press the Allow button to authorise it in Super User (the system that handles the root permissions of various applications). Next, select the DNS server that you want to use on your Android device (es. OpenDNS or Google DNS) from the drop down menu located in the top left and press the Apply button to save your changes. Now, reboot your device and start navigating: you should notice a faster access to all Web sites. Ok that's it . After read my guide on how to change dns on android phone what do you think? is not hard to do. Then after apply it you can enjoy surf faster with your android phone. At today's breakfast event Google has officially launched as expected the latest Android OS version with the version 4.3. 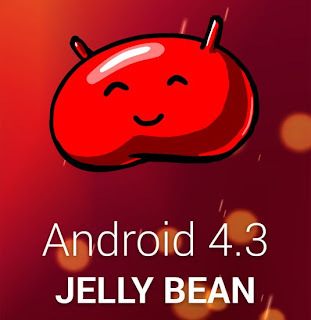 It is still a part of jelly bean and not to lime pie key. It is also not a huge update with a whole bunch of new features. Android 4.3 represents only a slight upgrade and brings only a few new features, which we would now closer look at. Google has mounted again in the latest version of the OS on the performance. Both the overall speed of the system as also the apps has been optimized further and has improved markedly. This was achieved the developers, inter alia through the optimization of drawing sequence of graphic elements, a better multithreading, and reducing delays in registering touch input. In addition also the audio latency, reduced as previously expected. Finally, it was the new graphic interface for OpenGL 3.0 for high-performance graphics introduced. They can compare performance technically about DirectX 11 on Windows. If this is time not open door for better Android OS games? Google smart introduces the new mode of Bluetooth, some possibly as Bluetooth low energy could know. This significantly reduces the energy consumption of the Bluetooth module with active connection. The new restricted profiles allow to determine the owner of tablets, what rights do the users of his tablets. Multiple users are set up on the Tablet so the owner can determine, for example, exactly what apps can be launched. It even goes so far, that you can determine what level in a game can be started and which are not. Really handy as we find! The Wi-Fi scan-only function makes it possible to determine the position of the device often more accurately and clearly stromsparender as via GPS. It scans the device the environment for available Wi-Fi networks out and determined in the position. A connection to the networks not produced naturally, it is only scanned. So Wi-Fi remains permanently switched on it unless the user turns off this feature in the settings. The new DRM framework allows developers of Android OS apps it simple and straightforward to integrate DRM (digital rights management) in their streaming protocols. So, for example, selected users, that it also paid, in better quality stream. With a permission granted by the user apps on Android 4.3 can 'observe the flow of the notification' and display in different ways or represent. Notifications can be distributed even to a connected Bluetooth device.